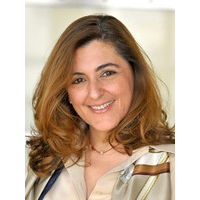 Despina Doxaki is Director of the Law Group of the Hellenic Financial Stability Fund. She is an experienced banking and finance lawyer with an accumulated over 24 years experience in banking/ finance and international projects transactions. For the last 17 years she has mainly represented lender-side banks and financial institutions. Her experience covers structuring, financing and development of PPP and PFI projects in the infrastructure, energy and real estate all industry sectors. Indicative projects she had been involved with include the financing for the privatisation of the 14 regional airports in Greece through a privatization process, the structuring of the concession and the financing of the Athens International Airport in light of the privatisation, the Athens Ring Road and Rio AntirioProject (Greece), the Baku airport (Georgia) as well as projects in Albania, Dubai, Egypt, Kazakhstan, Marocco, Oman, Russia and Turkey. She has worked with at Chadbournes&Parke, Shearman&Sterling, KG Law Firm, Alpha Bank, KPMG, Stanbrook& Hooper Law Firm and the EU Commission. She has been an Adjunct Lecturer at the M.Sc. in Law and Finance of the Department of Banking and Finance of the University of Piraeus, teaching Project Finance. She has worked in Athens, London and Brussels. Mrs Doxaki holds an LL.M. from Université Libre de Bruxelles / Institut D’études Européennes and a Ptychion in Law from the Law School of the University of Athens.